The best outdoor cannabis strains are always the strains that make it to harvest and successfully produce a fat stash of weed. Growing outdoors in Germany takes dedication, but with some luck and our top 5 strain picks you just might crop a heavy harvest of outdoor marijuana. CAN CANNABIS BE GROWN OUTDOORS IN GERMANY? 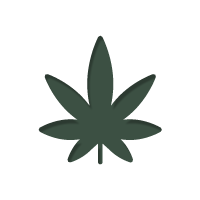 Cannabis is an adaptable and versatile plant that is cultivated all over the world and has been for thousands of years. 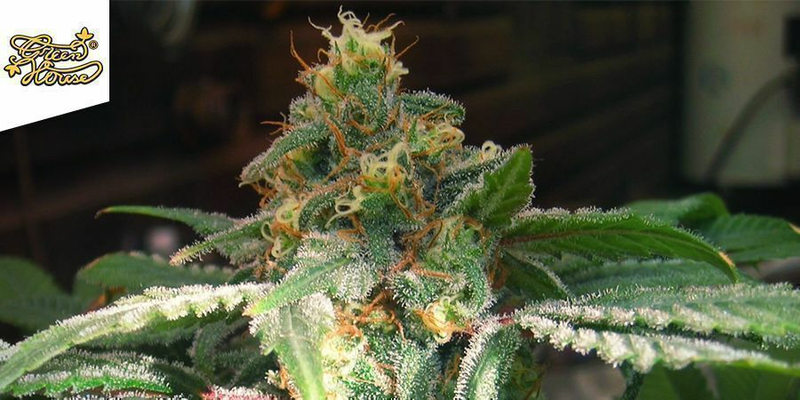 Naturally, the absolute finest outdoor marijuana is cultivated in regions blessed with optimal climatic and environmental conditions perfect for growing weed. Germany might not always have the ideal weather for growing cannabis but some hardy varieties planted in the right place at the right time can produce top shelf outdoor buds. Make no mistake it’s no cake walk cropping cannabis outdoors anywhere in Germany. However, cultivators that are brave enough to take on the challenge and have a solid grow plan can expect to successfully bring an outdoor crop to harvest regardless of whether they live in the north or south of Germany. The Climate of Germany is pretty moderate with the summers a little hotter down south toward Stuttgart and winters a little milder but definitely longer up north from Bonn to Berlin. For the purpose of outdoor cannabis cultivation, it’s a one shot deal throughout Germany. If you want to grow outdoors in Germany, it’s got to be during the summer. Selecting the right cannabis strain is always of paramount importance and for an outdoor grow; in Germany, you must be especially choosy. Every outdoor grow is at the mercy of Mother Nature. Long flowering Sativa’s and Hazes can be eliminated immediately because German summers just aren’t long enough. Similarly, especially tight budding heavy Indica strains must be ruled out as mold will most likely ruin dense colas before harvest. Although you can take it as a given that weather conditions will not be 100% perfect at all times during the Summer in Germany so in addition to being fast flowering your strain must also be very hardy and resistant to both pests and pathogens. This makes vigorous photoperiod hybrids and tough Auto-Flowering strains your best bet. A.M.S. stands for Anti Mold Strain and for those looking to crop a photoperiod strain with a high yield and 15%+ THC level this strain deserves your attention. Bred from Swiss strains specifically for high resistance to mold this strain is as close as it comes to a German landrace. A.M.S. 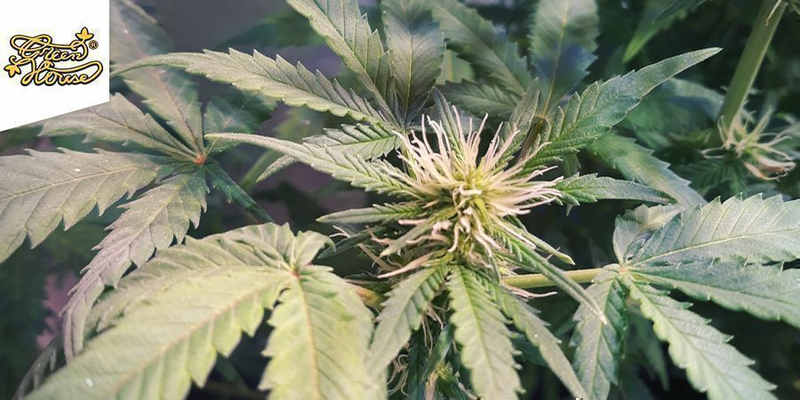 has the advantage of already being adapted to a northern latitude and can produce fruity hybrid buds in 8-9 weeks of flowering, ideally finishing in late August/early September. Experts can grow 2m bushy trees with hundreds of grams per plant. Probably the only photoperiod strain worth risking in northern Germany if you’re a beginner grower. This third generation squat auto ticks almost all the boxes for outdoor cultivation anywhere in Germany. Potency is decent typically between 10-15% THC and yields can be impressive even in less than perfect conditions with 40g per plant not uncommon. Cream Mandarine Auto plants branch out and stay low, buds are chunky and easy to manicure with a high flower to leaf ratio. Plants grow short and stocky finishing 1-1.2m tall with a delicious citrus fruit aroma that carries over into the flavour of the dried bud. Cream Mandarine Auto can be cropped in 60 days total with little maintenance and moderate feeding. A safe choice for novice growers and those cropping in difficult grow conditions. Plus cooler conditions brings out the purple and red colours in this strain with up to 50% carrying the trait. Blending vintage Skunk #1 with the resilience of Ruderalis, while still retaining that wonderful classic skunk taste and potency, is the main attraction of Skunk #1 Auto. It’s even faster flowering than original Skunk #1 too, with a total seed to harvest time of just 8-9 weeks. The drawback for clandestine growers is the pungent Skunk odour, but a swift crop that usually stays below 1.2m tall might just go unnoticed in rural southern Germany. Mini Xmas trees dripping with up to 50g per plant are possible in a good summer. Beware of mold in the North. The Church is another choice hybrid photoperiod strain by the Greenhouse that has a proven track record across the whole of Europe. This weed is perhaps the most widely cultivated marijuana throughout the continent both indoors and outdoors. The Church has a great genetic pedigree of Erdbeer X Super Skunk X Northern Lights making it a potent bush with amazing resistance to disease pests and tolerance for cool nights. Flavoursome and highly potent with 15%+ THC levels, The Church is an international favourite. Massive yields of berry scented and sweet tasting buds can be harvested. This strain loves nutrient feeds, and organic fertilisers are best for unlocking all the sweet taste. Like A.M.S only stockier, wide bushes up to 1.6m tall laden with hundreds of grams of bud are possible. Not quite as uncomplicated to grow as the A.M.S. but once you get feeding correct, she will pack on the weight. For the German outdoor grower seeking a connoisseur grade stash of exotic purple weed, we recommend the Devil Cream Auto. Probably the best of the sweet seeds purple family. Devil Cream Auto is potent, vigorous and Purple! This auto strain can be cropped anywhere in Germany in as little as 8 weeks from seed producing wonderful lemony scented frosty purple buds. Don’t expect huge yields but 25g per plant is about average, mostly from a fat main cola and few side branches. Devil Cream Auto is pretty discreet and easy to grow, staying under 1m and nothing produces purple buds with 15%THC levels faster. Definitely one for growers in northern Germany to consider in 2019. We recommend German growers germinate their cannabis seeds indoors in late May. Followed by two weeks seedling growth on an 18-6 hour light-dark cycle under a 150w CFL or better. At the very least, place your seedlings on a window sill that gets some decent sunshine, minimum 8 hours will be enough. Getting your seeds off to a good start indoors is the best way to prevent any early rooting problems and crucial with auto-flowering strains. Remember growing outdoors in Germany is a one-shot deal; there is literally no time for mistakes. Mold is the greatest threat to an outdoor cannabis crop in Germany. Outdoor cultivation by definition means submitting to the whims of Mother Nature. The best any grower can do to combat the dreaded bud rot or mold is take all necessary precautions and hope you catch a break with the weather. Mold is almost impossible to eradicate in an outdoor ganja garden so you need to do all you can to prevent it setting in. Assuming you have followed our advice and wisely selected a hardy cannabis strain then you can take a few simple steps to keep your plants healthy and mold-free. Avoid the heartbreak of mushy, mouldy buds. Growing these top 10 mould-resistant strains means growing with confidence in humid or damp weather. Adding liquid Silica to your feeding schedule is a great way to toughen the cell walls of plants and make them stronger. Timing your grow is perhaps the most effective strategy. Getting started too late in the summer can be costly come harvest time if autumn rains and plummeting temperatures turn your buds into a breeding ground for mold. Be prepared and even better be lucky too.